Swiss watch brand TAG Heuer breathed new life into one of motorsport’s most enduring legends recently when the great Ayrton Senna appeared as a stunning hologram at a star-studded launch in downtown Barcelona. The event, to celebrate the 30th anniversary of the Swiss brand’s partnership with the McLaren Formula 1 team, was held inside the ‘Teatre Principal’ – the oldest playhouse in Barcelona – and included appearances from double world champion and McLaren-Honda driver Fernando Alonso, and Bianca Senna, Ayrton’s niece. 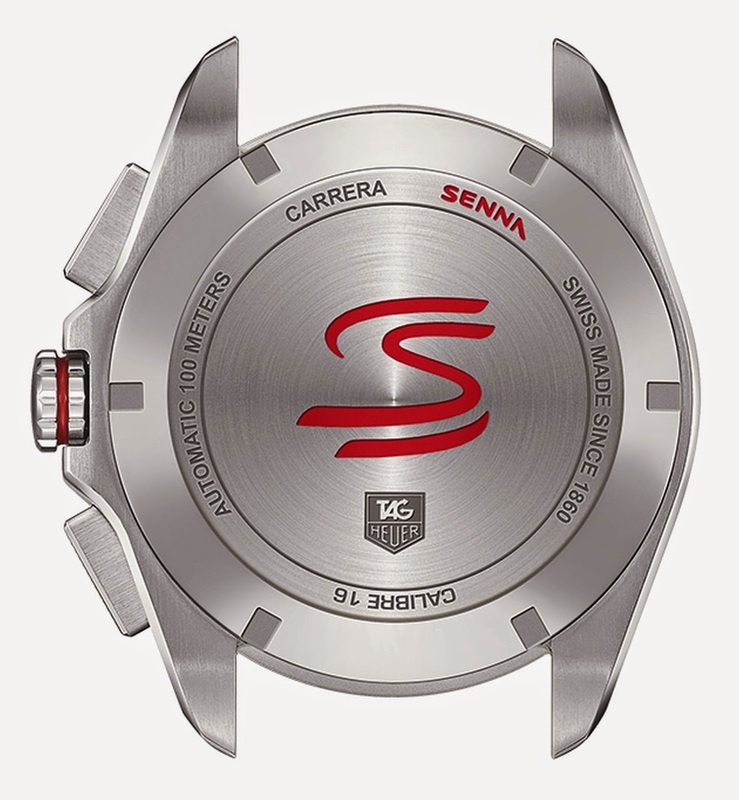 Endorsed by the Senna family for the occasion of the launch of Senna collection with TAG Heuer, the hologram of Ayrton Senna was a world premiere. It painstakingly recreated the Brazilian Legend in classic racing attire, dressed in overalls and with his helmet held beneath his arm. Using a sample of pre-existing audio, Ayrton glanced at his watch before addressing the audience. Ayrton was then joined on-stage by Spanish hero Fernando Alonso, who spoke about his memories of growing up watching the Brazilian. Fernando also explained the feelings he experienced when, earlier this year, he achieved a childhood dream and drove Senna’s most iconic and successful car, the 1988 McLaren-Honda MP4/4, at the Circuit de Barcelona-Catalunya. Fernando’s drive in the MP4/4 was captured for a promotional film, and was shown to the audience during the event. The footage includes him battling teammate Jenson Button, who drove this year’s McLaren MP4-30, the car that reunites McLaren, Honda and TAG Heuer for the first time in 25 years. Ayrton Senna’s return to TAG Heuer also marked the reveal of the Senna Collection comprised of four new special-edition timepieces and new dedicated advertising campaign. 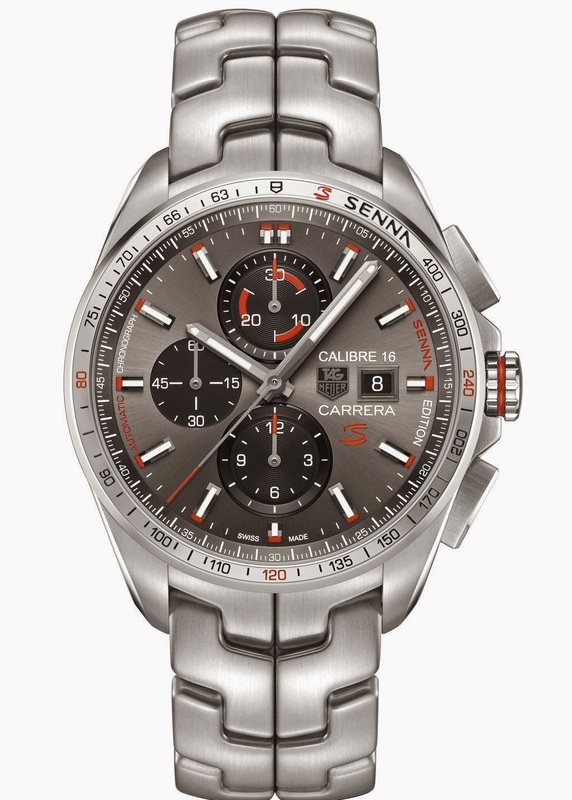 Each watch features the famous stylized Senna ‘S’ in red lacquer, on the dial, case back and bezel, complete with a tachymeter scale, giving the timepiece real racing spirit and Senna’s performance touch. 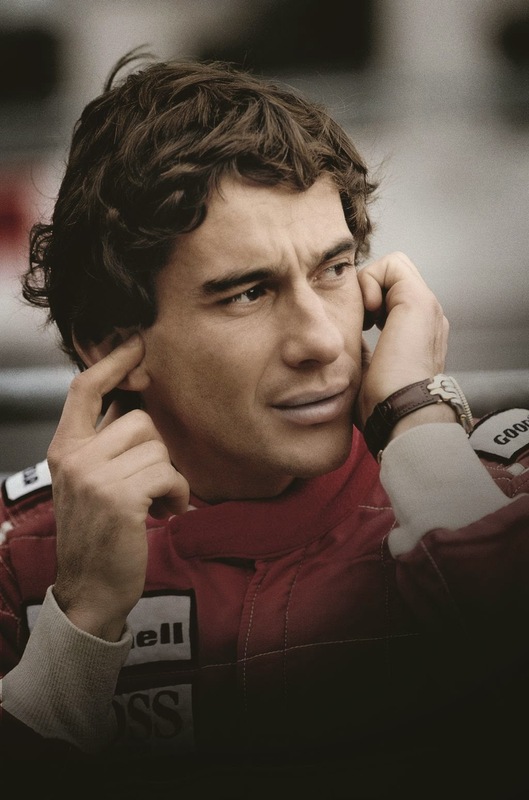 The iconic ‘Legend’ bracelet, with its S-shaped links, also makes a return – the same style worn by Ayrton but redesigned and rounded for optimum comfort. 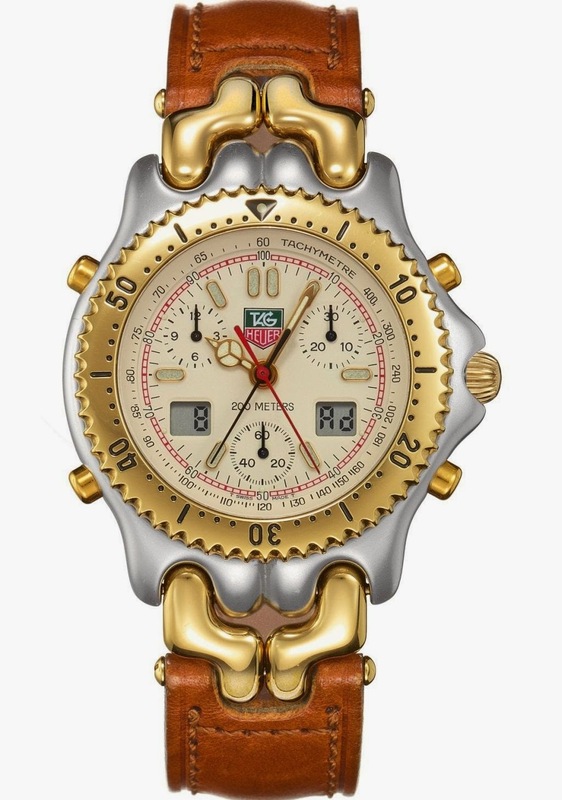 A 43mm-diameter quartz chronograph measuring to the nearest tenth of a second and with date function. 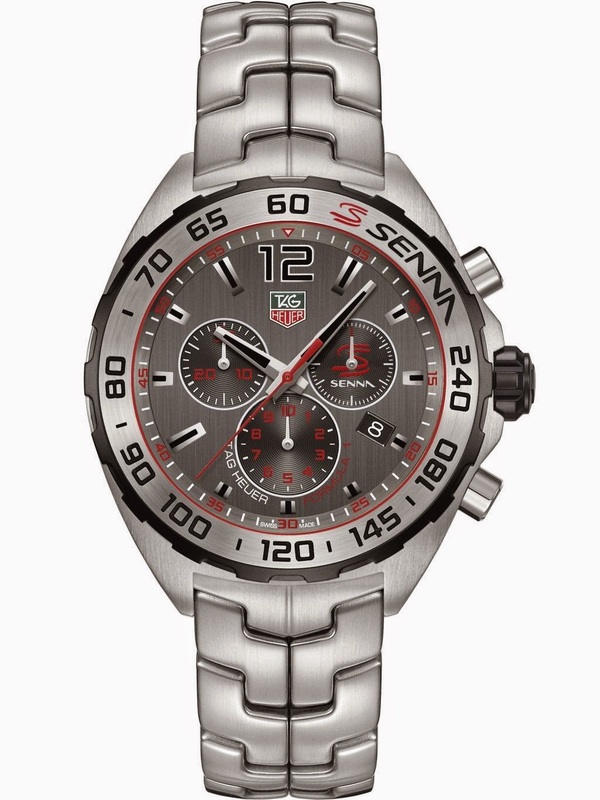 Anthracite grey dial, three counters and elegant touches of ‘Legend’ red to give it the racing spirit – the same red as the famous stylized Senna ‘S’, on the dial, case back and bezel, complete with a tachymeter scale. 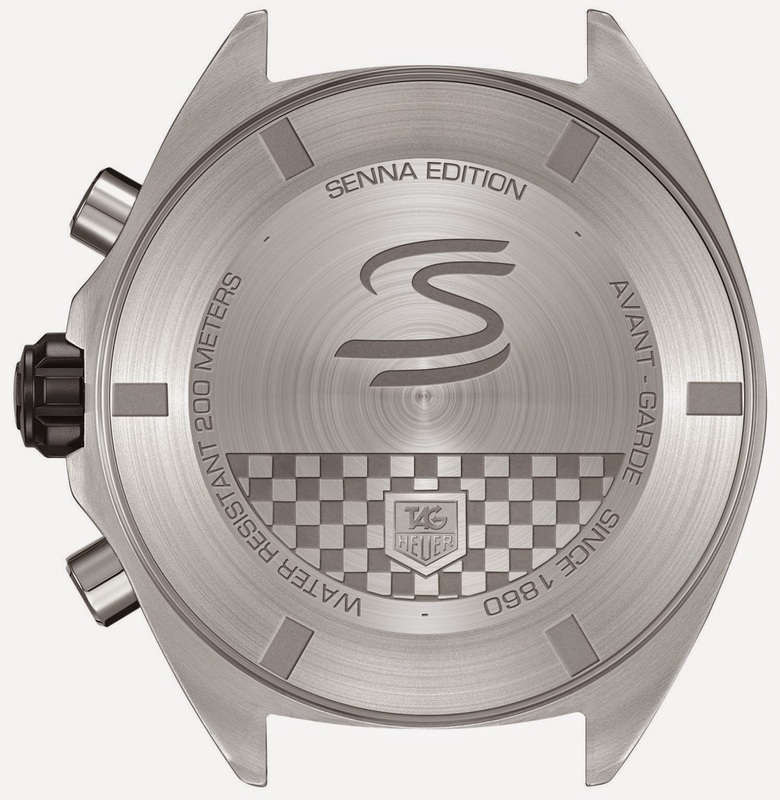 The timepiece is completed by the famous ‘Legend’ steel bracelet to give a unique exclusive style touch of the Senna brand. Ref: CAZ1012.BA0883. A 44mm-diameter automatic chronograph, available in an ultra-light black titanium version, equipped with a rubber strap with a dynamic tire-tread design. Ref: CBB2080.FT6042.